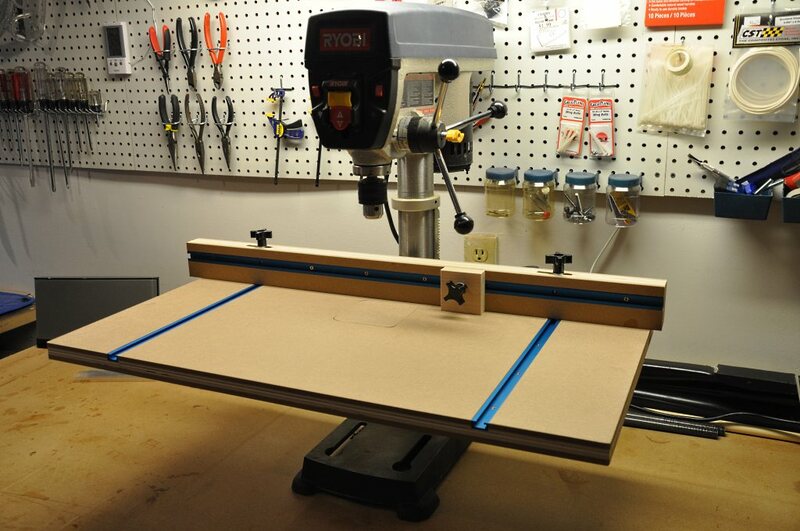 The need for accurately drilled holes in this hobby prompted me to search for a good table for my drill press. I built this plan from PlansNow.com but since my drill press is a desk-top model with reduced height, I built the table without the included tool drawer. Having used the table awhile now, I wonder how I ever got along without it! The accuracy and reproduceability of my drilling now is outstanding. I can set the fence and stop block to locate the drill point exactly where needed.